In case you missed it, here's what I wrote at Babble this month! 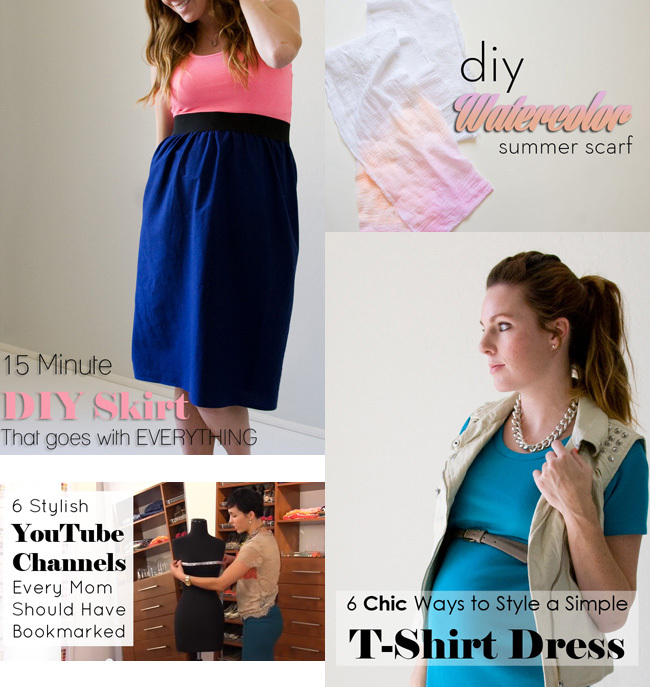 A 15 Minute DIY Skirt - SUPER easy! I'm thinking I might make myself a pineapple print one next. A DIY Summer Scarf - A great activity to do with kids if you're stuck inside because of the heat. 6 Ways to Style a T-shirt Dress - If you attempted my DIY t-shirt dress I showed a few different styling options!